Creaza Education is a great suite of tools that I've shared in many of my workshops, but I've never written a blog post about it until now. Creaza Education offers four useful tools to teachers and students. Those tools are a video editor, an audio editor, a cartoon creator, and an excellent mind map builder. To access all of these tools create an account on Creaza Education then select "tools" after you sign in. Creaza Education's movie editor is similar in layout to WeVideo and Pixorial. The movie editor provides you with some stock media clips and transition effects to get you started. You can upload your own audio recordings, videos, and pictures and store them in your account to use in all of your video projects. To create your movie just drag media elements from your library into the track for that media type. For example, if you want to use a video clip drag it to the video track. You can trim the start and end times for your video elements. Rearranging the sequence of elements in your video is just a drag and drop process. 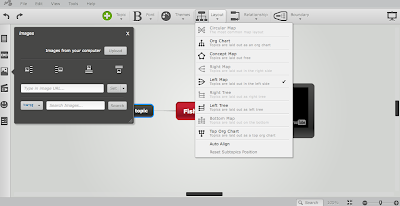 Creaza Education's mind mapping tool is actually an installation of Mindomo. Mindomo is one of the most feature-rich mind mapping tools that I've used. The user interface is clear and intuitive as every important function happens through clearly labeled drop down menus. Mindomo allows you to include videos, pictures, and audio files in all cells in your mind map. 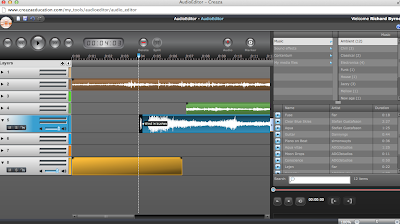 The Creaza Education audio editor is not as laden with features as Aviary's now closed Myna tool was, but it is still a good option for recording and mixing audio tracks. You can record directly into the audio editor or upload files that you have saved on your computer. 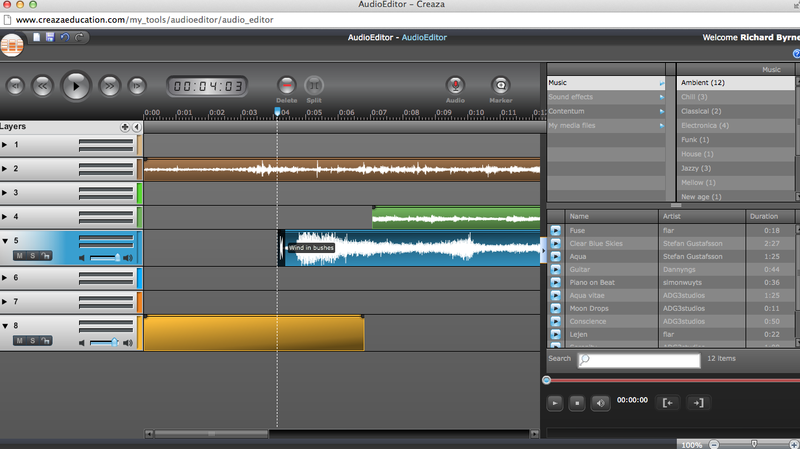 Creaza Education's audio editor has a library of sounds and music that you can mix into your productions too. There are eight audio tracks that you can blend together. 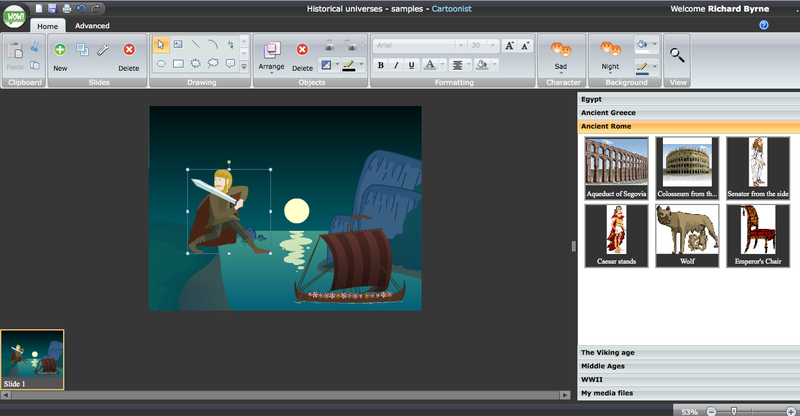 Caroonist is Creaza Education's cartoon creation tool. Creaza provides eight templates to get you started. The Manga, Crazy, and Norwegian Woods templates offer the most variation in settings and characters. The Historical Universes template is appealing to me too. The cartoon creation process is the same regardless of which template you choose. 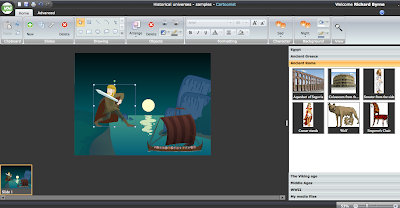 To create a cartoon drag items to each cartoon frame from the menus of settings, characters, and props. You can upload your own props and images to use too.